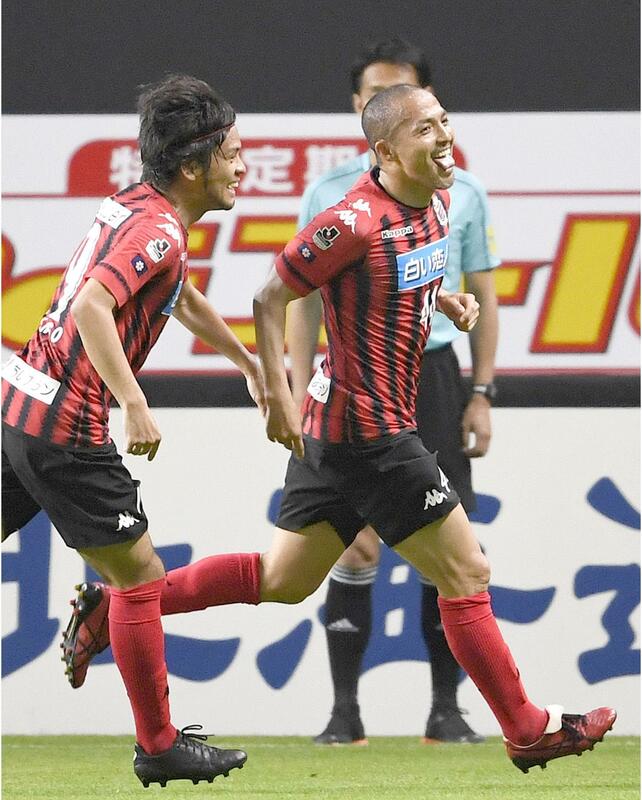 SAPPORO - Former Feyenoord midfielder Shinji Ono scored his first goal of the season on Wednesday as Consadole Sapporo drew 1-1 at home with Omiya Ardija in Group A of the Levain Cup. The 37-year-old, who played in three consecutive World Cups from 1998, swept home a low left-footed effort in the 16th minute after a cross from the left was put back into the middle by Shinya Uehara. But second-half substitute Yusuke Segawa’s stunner equalized for J. League strugglers Omiya five minutes from time, the midfielder hitting a fierce strike from the left corner of the box to the near top corner. Ono, who began his career at Urawa Reds before spending five seasons through 2006 with Dutch giants Feyenoord, also played for Bochum, Shimizu S-Pulse and Western Sydney Wanderers before joining Sapporo in 2014. Sapporo leads the group with seven points after three games, followed by Vegalta Sendai (six), who defeated Shimizu S-Pulse 3-1 at home. Jubilo Iwata’s 19-year-old forward Koki Ogawa bagged a hat-trick as the club secured its first win, also 3-1 at home, against FC Tokyo. In Group B, Vissel Kobe (six) leads with two wins out of two after former Sporting Lisbon forward Junya Tanaka and Yuya Nakasaka each scored a brace in 4-1 home win over Sanfrecce Hiroshima (four). Cerezo Osaka (five) drew 4-4 with Sagan Tosu to sit second, while Yokohama F Marinos beat Albirex Niigata 4-1 at home.